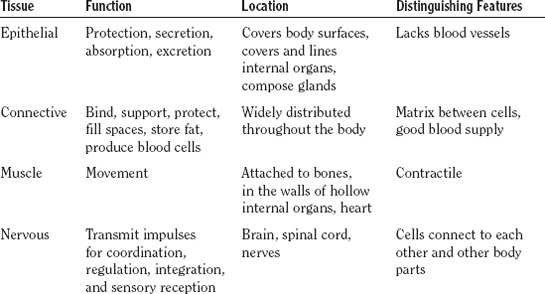 What are the general characteristics of the different types of tissue? Each of the four major types of tissue have different functions, are located in different parts of the body, and have certain distinguishing features. The table below explains these differences.